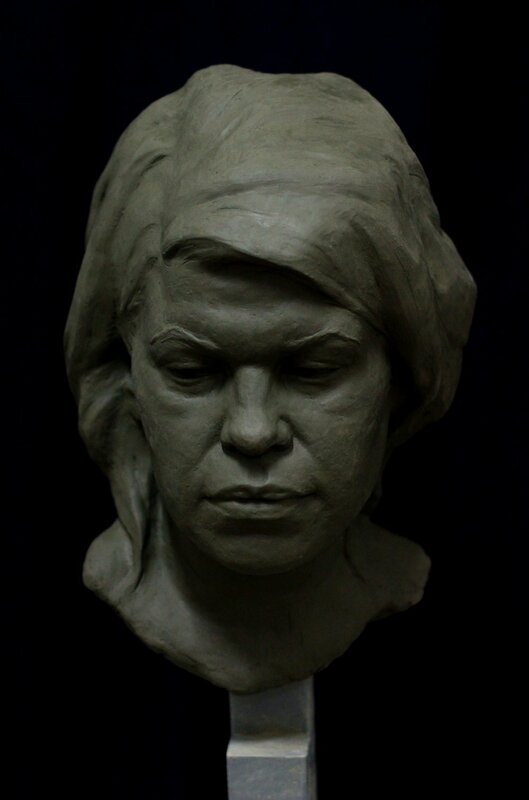 Alexandra Slava is a figurative sculptor currently living and working in Florence, Italy. She recently graduated from the Florence Academy of Art, having been awarded Sculpture of the Year. Alexandra`s work has been recognized by several international organizations such as The Art Renewal Center, The International Arts and Culture Group, and the Museo Europeo d'Arte Modern in Barcelona, Spain. Along with awards from these institutions, she was selected to create the model for a large marble statue of St Joseph for the interior design of St. John Baptist Church in Williamsburg, Virginia. Her works may be found in private collections in Ukraine, Malta, France, England, Italy, and Canada.